One of world’s most successful freestyle motocross riders, Levi Sherwood is set to headline the entertainment at the ITM Auckland SuperSprint, on 3-5 November at Pukekohe. The Kiwi daredevil will show off the art of motocross tricks to the thousands of race fans on Saturday and Sunday of the penultimate stop in the Virgin Australia Supercars Championship at Pukekohe Park Raceway. Sherwood will perform an exhibition on the track at 12.55pm on the main straight on Saturday and in front of the “mountain” on the front straight at the same time on Sunday. The Red Bull rider said he’s excited to bring a taste of freestyle motocross to New Zealand’s biggest weekend of motorsport, and sign off on arguably the most successful year in his illustrious career. The 26-year-old, who had previously won three silver medals, became the first Kiwi to win an X-Games gold medal in the freestyle event in Minneapolis. 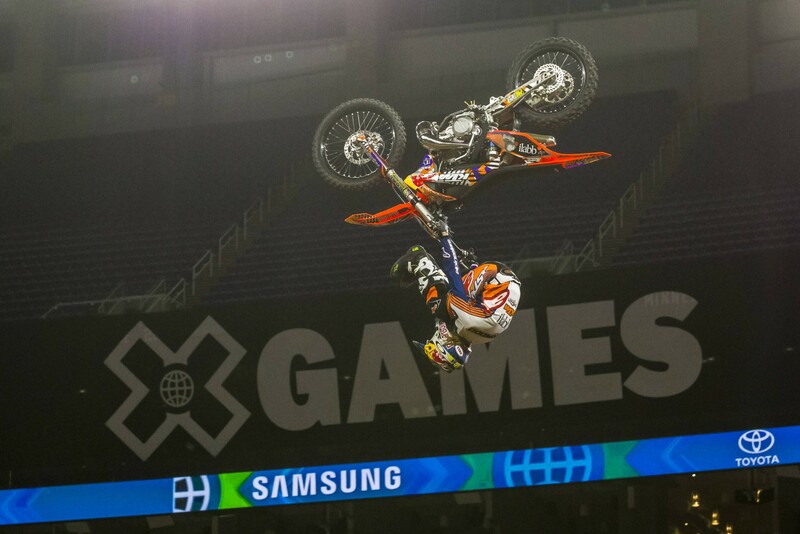 He went one better to follow this with a second gold medal in the Moto X Best Trick. His double gold medals came just a week after making history during his victory in the Red Bull X-Fighters in Madrid, where he pulled off two double backflips in a single run. This followed his groundbreaking win to become the FMX Champion at the Nitro World Games when he unleashed the first no-hands double backflip in competition. Sherwood has been one of the world’s best freestyle motocross riders for several years, winning the prestigious Laureus World Sports Award in 2011 for Action Sportsperson of the Year. It is awarded to “the sportsperson who best demonstrates supreme athletic performance and achievement in action sports”. Now Supercars fans will get the chance to check out his skills during the demonstration at next weekend’s ITM Auckland SuperSprint.